It's the PlayStation 4's launch day, but with the next-gen's increased online capabilities comes a trade-off. Today that may be more apparent than ever as Sony's Entertainment Network is facing severe issues and is, in part, down. New PlayStation 4 owners are able to download the 1.5 patch only to find they cannot login to their PlayStation account, and users already logged in are discovering assorted errors of their own. "We are aware that many customers are experiencing connection issues and are currently working to resolve these issues as soon as possible. We apologize for any inconvenience caused." [/INDENT] In addition, the "Service Status" icon and the entire status page is limned in red, a universal symbol for the service being down. However nowhere that I can find makes mention of the distinct service status or when it will be up in full again. As for myself, I receive a number of errors trying to login. The error that's most clear states that the Sony Entertainment Network is currently undergoing maintenance (NP-35000-8). Other messages include "Cannot Connect" or "An Error Has Occurred" messages. Again, no further information has been provided. Until Sony actually comes out and says something PlayStation 4 owners may be locked out of many services without knowing when things will be fixed. The worst error I've gotten isn't even an error at all, it's just a spinning circle that lasts endlessly with the message, "Please Wait...". That may how many PlayStation 4 owners remember their first day with the console. Hundreds of dollars spent and no knowledge of when things will be fixed. Please wait. Damn I just don't care not even a little. 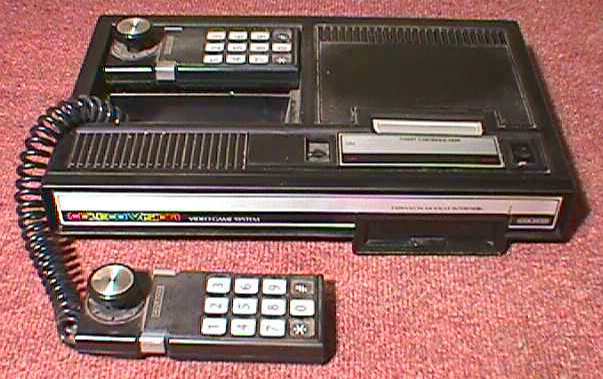 Lost my interest in video games after colecovision. Quite a while ago. Xmas gift for my kids 1980 or so. We would put them to bed and play for a couple of hrs every night. Think by xmas we had already wore out a set of controllers. It was a hard game on controllers. We sure had a lot of fun with it.